- A set of three tumbled rose quartz gemstones. Stones will vary in size and shape, but most are in the range of 3/4" to 1 1/4". 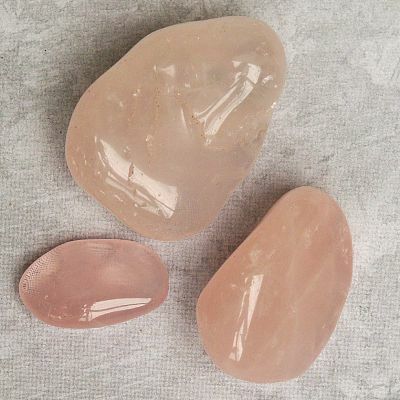 Rose quartz is one of the loveliest stones in the quartz family. Its soft pink tones promote romance, happiness, and emotional healing. 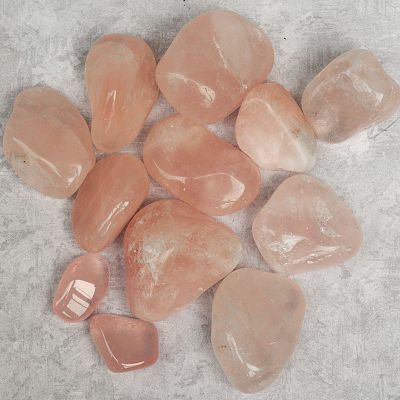 Do you have any other questions about our Rose Quartz?